While road and track riding is a great workout, there is nothing that beats the excitement and challenge of an outdoor trail. Of course, you cannot use a standard bike for this and expect good results which is where the best hardtail mountain bikes come into play. Keep in mind, a hardtail mountain bike is generally considered an entry level, but that is no reason to just get the cheapest option you can find. 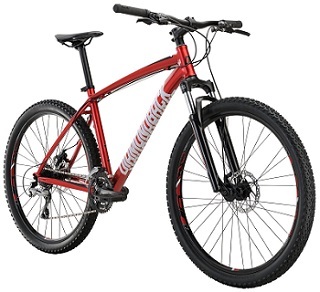 Still, figuring out which is the right hardtail mountain bike for you can be a confusing and challenging task. That is why we have put together a list of the 8 best hardtail mountain bikes, highlighting what each one does best. While we think that the Raleigh Bike Tokul 2 is the best on our list, it may not be right for you but you have to keep reading to find out. Diamondback Bicycles has been around for 40 years and has specialized in bicycles designed for harder riding. That said, the company is squarely situated within the mid-tier range, though they have recently started to appeal to the performance biking market. Still, Diamondback Bicycles offers solid value at a reasonable price, even within the hardtail mountain bike sub-niche. In fact, the Overdrive comes in on our list as the best all-around value hardtail mountain bike due to the solid combination of component sets as well a more reasonable price than many of the top-tier brands. To be honest, this is simply one of the best hardtail mountain bikes under 1000 dollars. Some people prefer for their component kits to be composed of primarily the same maker, but mixing and matching component manufacturers is pretty much a tradition in the MTB community. The Diamondback Overdrive is a perfect representation of this, pulling their components from many of the biggest mountain bike component manufacturers in the world. Of course, Shimano is heavily represented with a nearly complete drivetrain that offers an impressive 3×8 gears. This is complemented with the Tektro Aries disc brakes to provide precise stoppage without slipping or stuttering. However, you are likely going to want to replace the provided bike saddle as it is known for being a bit uncomfortable. On top of that, the included inner tube should be changed as it will regularly go flat on even moderately rough trails. Still, the SR Suntour XCT fork ensures that your ride is smooth enough while providing solid control. Beiou is an interesting company primarily because they do not actually specialize in mountain bikes specifically or even bicycles more generally. Instead, Beiou, which is a part of a larger manufacturing company, focuses more on carbon fiber than bicycles. Granted, their inexpensive BEIOU carbon fiber bicycle frames have become quite popular and drowned out some of their other departments and industries. Still, it is important to remember that this company only just recently started to manufacture bicycles, so you should not be surprised if some of their construction choices leave a bit to be desired. That said, there is no question that this is the best carbon fiber hardtail mountain bike that we came across. Carbon fiber is a difficult material to gauge with mountain bikes because it is heavily dependent on the type of riding you intend to do. Considering this article is on hardtail mountain bikes, there is a reasonable assumption that you are not planning to ride it on the roughest trails. In this instance, the carbon fiber of the Beiou CB020 is beneficial as it allows this hardtail MTB to slide in as the lightest product that we reviewed. In fact, this particular model is actually 20-percent lighter than the market average, able to shed up to 6 pounds over its next closest competitor. Even better, this carbon fiber frame has been constructed into an integrated body that allows you to make quick adjustments on the fly with the provided tools. Finally, the Beiou CB020 really makes a big impression with the 3×10 Shimano drivetrain that is complemented with a set of Shimano hydraulic disc brakes as well. Diamondback Bicycles makes another appearance on our list, but this time they are tackling one of the more difficult niches: the 29er hardtail mountain bike. This particular subcategory is so difficult for manufacturers to get right because it is expected that the bike will carry larger, and heavier, riders than a 26” or 27 ½” mountain bike. 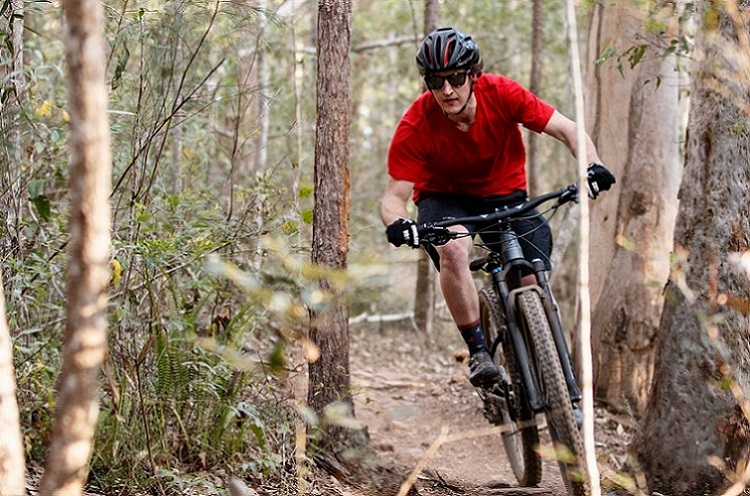 This means that 29er mountain bikes will be put under more difficult riding conditions, even if it is riding the same trails as a smaller bike. 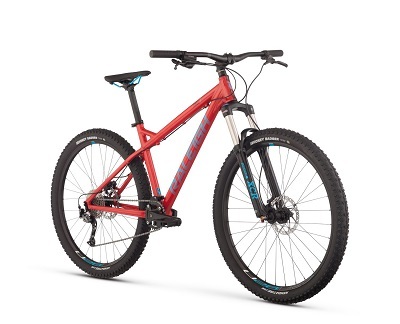 That said, this by and far one of the best 29er hardtail mountain bikes that we came across with a wide range of components and features that most riders will find attractive. 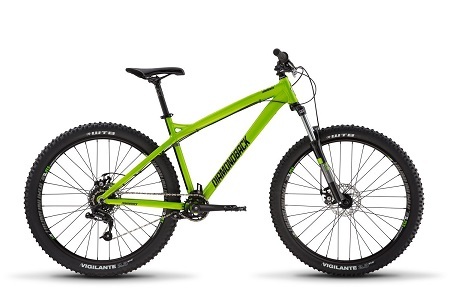 On top of that, even though the price is a bit above average for our list, this is actually a fairly reasonable price for a 29” hardtail mountain bike. It should be noted well ahead of time that the QC issues this particular comfortable bike has are not a reflection of the bike’s quality as much as it reflects some of the manufacturing processes at Diamondback Bicycles factories. However, this particular bike is built by hand in the US and uses some of the better components that we saw. The Shimano 3×8 drivetrain is a welcome sight, though it seems a bit odd, and potentially sacrilegious to pair it with a Suntour crank. Regardless, the shifting remains smooth while still providing a good amount of real-time feedback. Suntour does not just make an appearance in the drivetrain as this bike also comes with a solid Suntour fork for stability as well as solid control. The Tektro Aries disc brakes are another welcome addition to help control your speed without risk of stuttering or skidding. Merax is the first company on our list that not only does not focus on mountain bikes specifically or biking products more generally, but Merax does not actually have any specific market that specializes in at all. Instead, this is a company that manufactures a smorgasbord of different products which means you should not expect any special, unique, or innovative. That said, when you go to a company like Merax for a bicycle, you should look for a solid base that you can use to build on top of instead a complete product with the best arrangement. 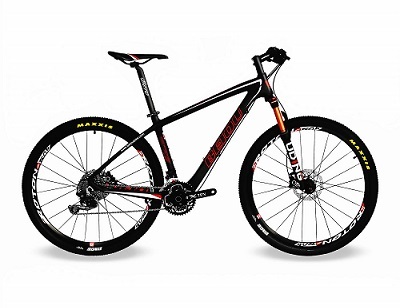 Thankfully, Merax did just that and provided what we consider the real starter hardtail mountain bike on our list. Keep in mind, Merax is not a prototype for what your hardtail mountain bike’s finished product should look like. Instead, this bike provides most of the basic components with a number of solid choices to allow you to build your dream bike without costing too much money. As one of the least expensive hardtail mountain bikes we found, Merax makes sure to provide a wealth of solid components as well as some that are easy options for upgrades. 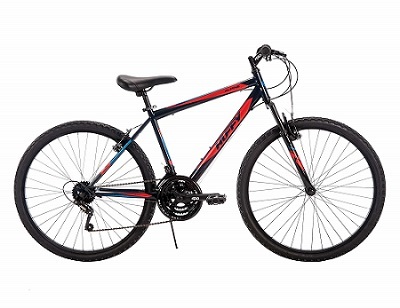 For instance, this bike comes with the industry standard 6061-T6 aluminum alloy frame which an excellent starting point. On top of that, the Merax Finiss also provides a great Shimano drivetrain and shifter set to get you started with quality components. Of course, if you do not immediately upgrade the Merax Finiss, you will not be left with a poorly performing bike. Though it should be known that you will want to upgrade your inner tube quickly and will likely need to realign the entire bike before riding. Raleigh Bikes is by far one of the most experienced and prestigious bike manufacturers in the world with a history that stretches back well over a century. That said, this company is not necessarily known for pushing the envelope and instead hangs its hat on top-quality manufacturing products. Of course, having been around for pretty much the history of bicycles at least allows the Raleigh Bikes the ability to provide solid options for pretty much all markets and demographics. It is with this idea in mind that Raleigh Eva 3 enters our list and captures the best hardtail mountain bike for women category. Whether it is due to stereotyping or what have you, Eva 3 is a great bike but not for all types of riding. Specifically, this hardtail mountain bike is less suitable for rougher trails than most of the other products we reviewed. On the other hand, this bike does at least come with some of the better rim and tire combos that we saw. The Weinmann XRD28 rims are plenty durable, while the Kenda Kadre K-1027 tires offer the perfect blend of traction and durability. Of course, the other components only increase the quality of the ride as the Shimano 21-speed drivetrain offers excellent control and shifting feel. The Tektro Aries mechanical disc brakes are solid, but they are not great for higher speeds downhill. Still, the combination of the 6061-T6 aluminum alloy frame and the SR Suntour XCM fork provide a great mix of durability and control. Our second Raleigh Bikes product takes many of the same benefits as their other models but goes a step further for difficult terrain. As such, it should come as little surprise that the Raleigh Bike Tokul 2 is rated as our best hardtail mountain bike for rougher trails. Keep in mind, this does not change the fact that a hardtail mountain bike is not really meant for competition-level graded trails. However, if you simply want a mountain bike to take on your local trails with thicker roots and steeper drops, the Raleigh Tokul 2 is a great option. While durability is an important consideration, the most important thing when riding rougher trails is control. Because the terrain of rougher trails presents unpredictable obstacles, it is vital that you can maintain control when the riding gets bumpy. Thankfully, Raleigh Bikes provides a number of features towards this end with the custom butted aluminum frame being a major reason why. Of course, the combination of Weinmann U28 rims with Kenda’s great Honey Badger K-1027 tires provides arguably the best traction and durability combo that we saw. On top of that, the Raleigh Tokul 2 also comes with the ever-popular Tektro Aries disc brakes, but Raleigh made it a point to opt in for the hydraulic models over the mechanical ones. Finally, the Raleigh Tokul 2 also comes with a relaxed frame geometry that provides for even more control without sacrificing comfort. Huffy might be one of the biggest bicycle manufacturers in the world, but they are also well-known as one of the best budget bicycle manufacturers in the world. To be fair, a large part of this distinction has to do with the fact that Huffy’s target demographic is children, not professional riders or even enthusiasts. 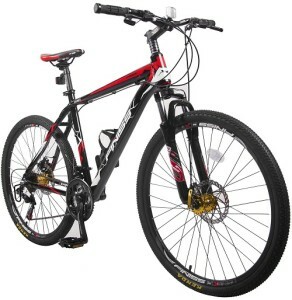 As such, you should definitely not look to Huffy for the best performing hardtail mountain bikes. Most of the new and innovative features found on other option on our list will simply be absent from a low-end manufacturer like Huffy. Of course, if all you need are a set of wheels for trails at the lowest price, then Huffy is definitely a great option. In fact, we consider the Huffy Alpine to be the best budget hardtail mountain bike that we came across. One thing that really reaches out about the Huffy Alpine compared to pretty much every other hardtail mountain bike that we reviewed is the materials used. This is the single product on our list to eschew the commonly used aluminum alloy frame in favor of a steel frame. To be frank, Huffy uses a steel frame because it is cheaper for them to make and allows the subsequent bike to be cheaper to sell as well. However, this has a couple functional effects that are both good and bad depending on the type of riding you do. Basically, the steel frame makes this by far one of the heaviest mountain bikes we saw, but it also has the benefit of making it more durable–at least for the frame. Our final Diamondback once again steals a niche spot from some of the other, more reputable brands on the market. In fact, the Diamondback Hook is likely one of, if not, the best SRAM hardtail mountain bike that we reviewed. It is necessary to keep in mind that the difference between SRAM components and Shimano is mostly about preference as opposed to performance. Head to head, both component brands compare favorably, all things considered, but they function differently. While this difference may seem small to the uninitiated, those who ride mountain bikes understand how important this difference can be when you are actually on the trails. By far the biggest difference between this Diamondback mountain bike and pretty much every other product on our list comes down to how the bike shifts. Basically, SRAM shifts with twice the tension ratio of a Shimano shifting system which allows the SRAM drivetrain to shift more smoothly than a Shimano. This can have the unintended consequence of providing significantly less feedback when shifting, but it ultimately performs better once you get used to it. Of course, the Diamondback Hook does not simply show up in the drivetrain arena and provides a nice mix of different components otherwise as well. For instance, the Tektro Aries makes another appearance, though this time, the bike comes with mechanical disc brakes as opposed to hydraulic ones. Still, the SR Suntour XCM fork combined with the 6061-T6 aluminum alloy framework to provide a base that is not only solid and durable but also easy to control. This is definitely seen as one of the lowest grade materials for bikes in general, and it does not even really matter what niche or type of bike either. The biggest reason that steel is seen as poorly as it is has to do with its weight which is the most per pound out of any of the most commonly used materials. This is especially relevant for affordable mountain bikes as that additional weight makes it more difficult to pedal up steep inclines. On the other hand, steel is also the most durable material used for mountain bikes which can come in handy if you are prone to crashing. This is by far the most common material used for mountain bikes because it offers a great blend of durability, weight, and price. While it is generally more expensive than steel, it is rarely so much more expensive than it pushes the bike into another price bracket. On top of that, aluminum alloys are nearly as durable as steel while also providing some inherent resistance to rust and corrosion. Finally, aluminum is far lighter than steel without giving much up in the way of strength, so you do not have to worry about pulling the additional weight up a hill with you. Carbon fiber might get a lot of good press in the bicycle industry, but it is not the best material for all purposes. Case in point, carbon fiber is generally not seen as the best material for a mountain bike due to its significant cost. While the price can be forgiven, the fact that carbon fiber becomes brittle in cold weather is another major concern. If you are riding an entry level road bike on a flat, smooth surface, this brittleness does not really matter that much. Of course, if you are riding a mountain bike on trails with steep drops, a brittle frame can crack in freezing cold temperatures. That said, this is still the lightest material used which is a big help when riding up a hill. This is by far the most important consideration when purchasing a hardtail mountain bike, though it may very well be the most important quality when purchasing any kind of bike. The drivetrain is ultimately responsible for transferring your force from the pedals to the bike itself. As such, a quality drivetrain can make you feel as though you are riding on clouds while a poor drivetrain can make even the smoothest of roads feel like slogging through mud. It is worth noting that in the mountain bike market, whether hardtail of full suspension, the two major drivetrain brands to look for a Shimano and SRAM. While the drivetrain as a whole is important, the more relevant components of the drivetrain generally tend to be the derailleurs. While the shifters and the crank are also important, there is far less competition in that component arena. With a derailleur, you are primarily looking for a product that is especially precise, so you do not have to worry about the chain slipping when shifting. Much like with mountain bike drivetrains in general, the derailleur market is similarly dominated by Shimano and SRAM–though this particular component is more liable to see other brands sneak in here and there. Since a hardtail mountain bike by definition does not have a rear suspension system, the choice of fork becomes more important for this kind of bicycle than some of the other categories and niches. Of course, the forks for mountain bikes are not significantly different outside of the occasional improvement to the suspension system. That said, Suntour seems to dominate the hardtail mountain bike market, even though there are some brands out there that are generally considered better performing. Part of this has to do with the fact that Suntour is a less expensive component brand, but a big part of this decision also relates to the fact that Suntour has been around for a while and knows the various niche’s needs. The wheels of a mountain bike, whether hardtail or full suspension, are incredibly important and often one of the more overlooked components–especially by beginners. The assumption is that the wheels, which consist of the rim and tire, are simply going to work, but this is not necessarily true for mountain bikes. Basically, different kinds of tires and rims are designed to be more or less effective depending on how rough the trails you ride on are. On top of that, it is also important to consider whether you need tires with extreme tread for riding through thick mud or those with some road traction for hybrid trail riding. There really is no comparison at this point as the hardtail mountain bike market is significantly less expensive than the full suspension mountain bike market. 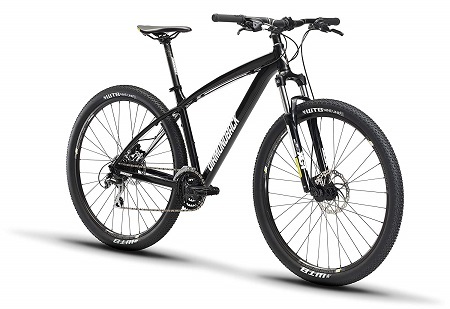 Granted, this is mostly due to the experience that hardtail mountain bikes are not designed to perform quite as well as full suspension mountain bikes, but the difference in price may still surprise some. A top of the line full suspension mountain bike that is ready for a competition can easily cost multiple thousands of dollars while most hardtail mountain bikes rarely break one thousand in price. Much like with price, there really is no comparison between the two types of mountain bikes in terms of comfort. The big difference this time is that a full suspension mountain bike will dominate a hardtail mountain bike even if the components themselves are of slightly lesser quality. Of course, this only makes sense considering that the full suspension mountain bike will have two sets of suspension units compared to the hardtail mountain bike that will only have one. That said, you will likely notice this comfort quality a bit more when you are not pushing yourself to the limit on the roughest trails that you can find. This is another area where a full suspension mountain bike is simply head and shoulders better than a hardtail mountain bike. Again, the additional suspension system in the rear is why, though it impacts performance a bit differently than comfort. Basically, the rear suspension of a full suspension mountain bike will provide significantly more stability when riding over rougher trails than the absence on a hardtail mountain bike will. This increased control allows the rider to ride faster without worry of slipping or falling. If you are looking for a competitive mountain bike, you should definitely opt for the full suspension model over the hardtail. What distinguishes a hardtail mountain bike from other types is the absence of a suspension system in the rear. This makes the hardtail a bit harder to ride and more difficult to control over rougher terrain but also decreases the price. 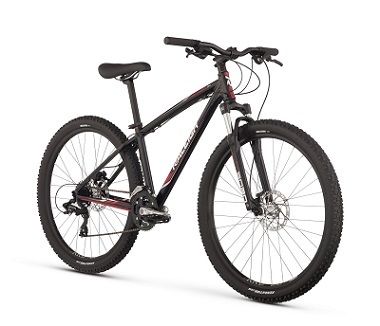 Generally, a hardtail mountain bike is a good option when you do not have as much money to spend on a mountain bike but still want decent performance. While the difference between a hardtail and full suspension is big, the difference between a hardtail and rigid mountain bike is even bigger–with the comparison favoring the hardtail. In the end, the kind of trail that you ride will ultimately determine which are the best hardtail mountain bikes. That said, it is generally better to get more than you need rather than less in case you change the level of trails that you ride. In this instance, there is no better hardtail mountain bike that we found outside of the Raleigh Bikes Tokul 2. With one of the better forks on our list as well as a complete Shimano drivetrain and Tektro Aries hydraulic brakes. The Raleigh Bike Tokul 2 beats pretty much every other hardtail mountain bike we came across in the component arena. That said, you get what you pay for, and this is easily one of the more expensive hardtail mountain bikes as well.